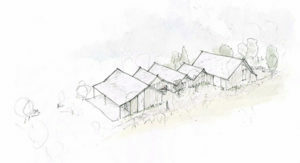 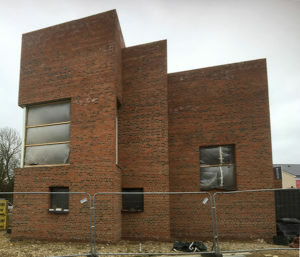 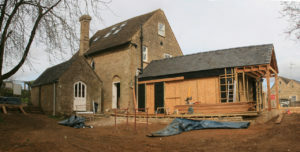 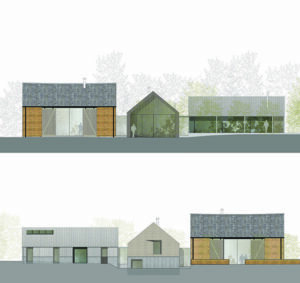 Home › Architecture › Garlands Farm goes on site! 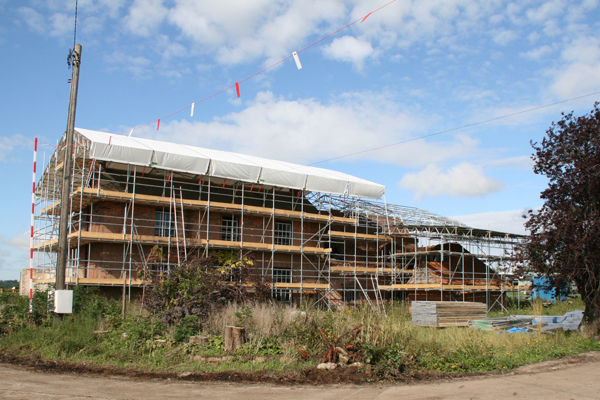 21/09/2015 Garlands Farm goes on site! 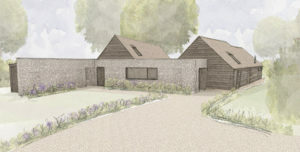 Work has started on site at Garlands Farm. 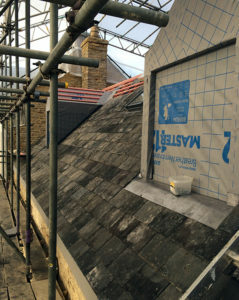 The first job has been to wrap the farmhouse up with a roof for wet weather-working to ensure the historic fabric of the listed building is kept dry through the winter. 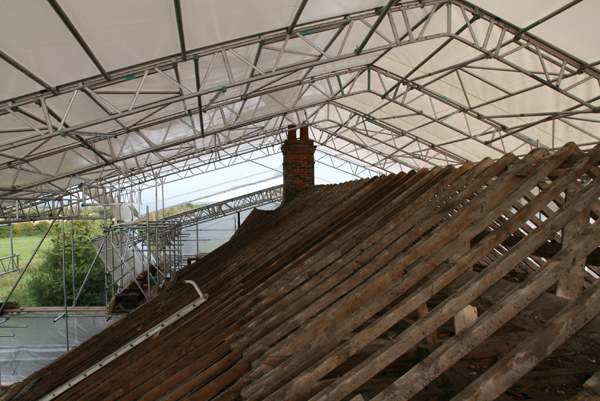 The roof strip-off has started exposing a lot of rotten timbers. 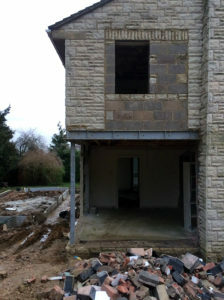 Luckily the structural engineer will inspect it thoroughly and advise on the next steps.